On today's post, we are having my friend @favenue__ as a guest. 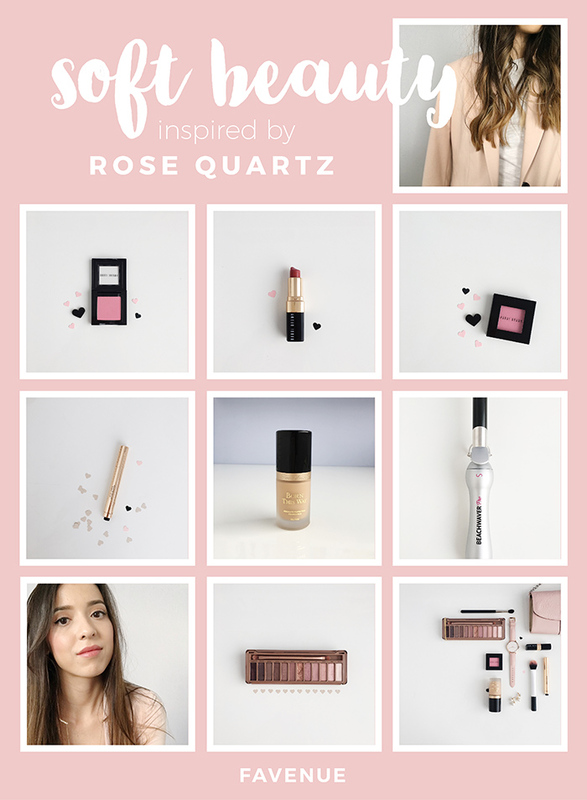 With Spring around the corner, I asked her if she could share some of her beauty favorites for the season, everything inspired by Rose Quartz. En la publicación de hoy tenemos a mi amiga @favenue__ como invitada. Con la primavera muy cerca, le pedí que nos compartiera algunos de sus favoritos para esta temporada, todo inspirado en el Cuarzo Rosado. I have always thought that makeup looks the best when it's natural and soft, a no-makeup makeup look; simply because I love the idea of looking radiant when you find the ideal products that enhance our natural beauty and emphasize our best features or correct any imperfections in a fresh a youthful way. It's important that every woman dominates their own bulletproof look, that being something that you can wear at the office or on a night out. A simple, easy, and quick look which makes you feel comfortable and ready for what comes next. In case you missed it, this year you will be seeing everywhere the color of the year chosen by Pantone for 2016 (Rosé Quartz) in the world of design and fashion industry. 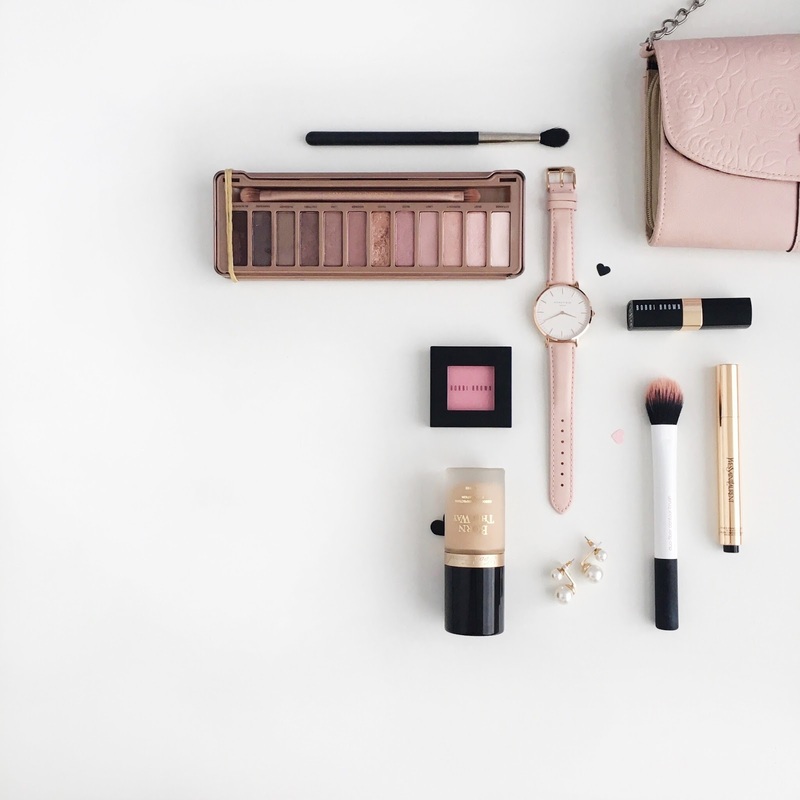 That being said, I took some inspiration from this and the soft pink tones in makeup that I love for a young and girly look, sharing it today with you. Siempre he pensado que el maquillaje entre más natural y suave mejor; es decir, maquillada sin que lo parezca; ya que me encanta la idea de poder lucir radiante cuando encuentras los productos adecuados que hacen resaltar nuestra belleza natural y que nos ayudan a potenciar nuestros mejores rasgos o corregir nuestras imperfecciones de una manera fresca y juvenil. Es importante que toda mujer tenga dominado su propio look atemporal, es decir, que lo puedas usar en la oficina o para salir en la noche. Un look simple, fácil y rápido con el cual te sientas cómoda y lista para lo que se presente. En caso de que te lo perdieras, este año verás hasta el cansancio el color que Pantone ha elegido como el color del 2016 (Rosé Quartz) en el mundo del diseño y la industria de la moda. Así que, inspirada un poco en esto y en que los tonos rosas suaves en el maquillaje en lo personal me encantan porque siempre te darán un aspecto tierno y juvenil, decidí compartir este look. One of my favorites has always been the Naked 3 Palette, for day and night. The shades that I wear for my daily makeup are Trick, Limit, Nooner, and Factory with a liner (in case I'm planning to go out later at night). The perfect foundation that I've discovered thanks to Siham is Born This Way by Too Faced, always pairing it up with the YSL Touche Éclat. On my cheeks I go for my favorite Bobbi Brown shades, along with a medium rose tone longwear lipstick. And of course, my eyelash curlers and mascara. For those days when you have a little extra time for your hair, I couldn't have found anything better than the Beachwaver Pro Curling Iron by Sarah Potempa. Great for super natural waves with lots of volume, another products that I've loved since I purchased it, 100% recommended. 1 Too Faced: Born This Way Foundation. 2 Real Techniques: Miracle Complexion Sponge. 3 Chanel: Correcteur Perfection Long Lasting Concealer. 4 Bobbi Brown Blushes: Pretty Pink and Nectar. 5 Bobbi Brown Lipstick: Tulle. 6 Yves Saint Laurent: Touche Éclat Highlighter. 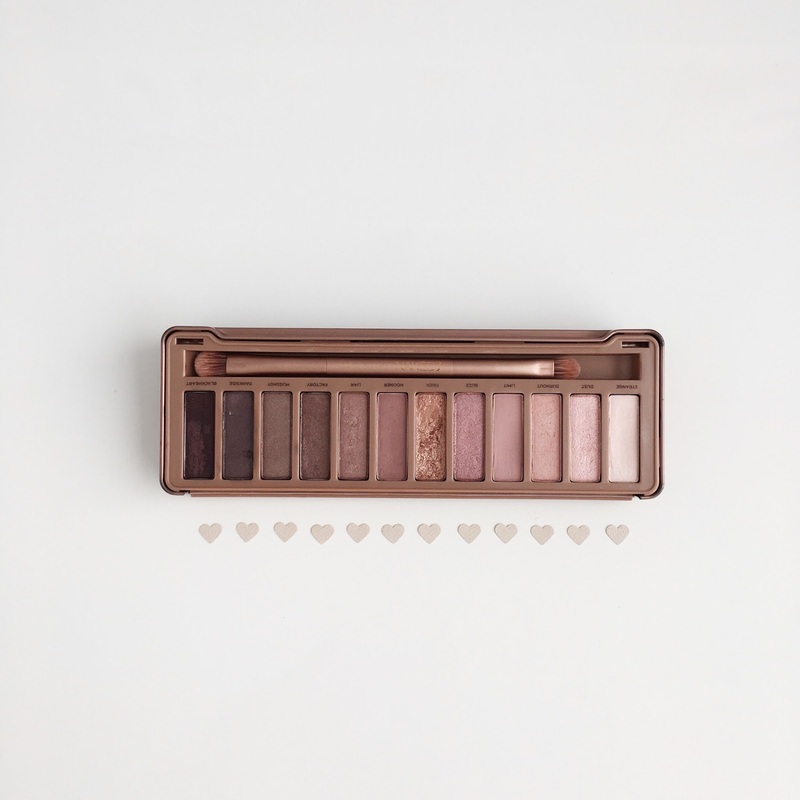 7 Urban Decay: Naked 3 Palette. 8 Sarah Potempa: Beachwaver Pro Curling Iron. Uno de mis favoritos siempre ha sido la Naked 3 Palette, para día y noche. Los tonos que utilizo para mi maquillaje diario son: Trick, Limit, Nooner y Factory con delineado (si planeo hacer algo en la noche). La base perfecta que acabo de descubrir gracias a Siham es Born This Way de Too Faced, acompañada siempre de mi corrector favorito y en ocasiones especiales el increíble iluminador Touche Éclat de YSL En las mejillas mis dos tonos de rubor preferidos de Bobbi Brown, en mis labios un tono rosa medio de larga duración. Y por supuesto mi rizador y máscara de pestañas. Para esos días en los que tienes tiempo de hacer algo más con tu pelo, no podría haber encontrado mejor opción que la Beachwaver Pro Curling Iron de Sarah Potempa. Ideal para esas ondas super naturales y con volumen, otro producto que amo desde que la compre, 100% recomendable. Thanks to @favenue__ for sharing her faves. Don't forget to follow her on Instagram! Gracias a @favenue__ por compartir sus favoritos. ¡No olviden seguirla en Instagram!